Our product is insurance: The service we provide is second to none. While we work with many insurance companies, we work for our clients. We are on our clients sides providing the best coverage at the best prices to fit their needs. We help them with claims when they occur and follow up to be sure they get a prompt company response, fair treatment and payment of their claim. After completing an analysis of their insurance needs, we design a responsible protection program with the company that best suits their situation. We use EZ Links, a multi-company rating system to obtain competitive quotes proposals with the best premium. 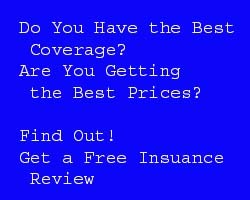 Once they become a client, we provide periodical reviews of their insurance to evaluate the adequacy of their policies. We also encourage clients to call us with any questions or concerns. We are proven professionals, caring and conscientious. Our primary objective is to treat our clients needs as if they were our own. To be honest and fair in all our dealings. To provide our best service to all clients, big or small. We are committed to this high standard of excellence, so that we can establish a firm relationship of mutual trust and service to everyone we deal with.